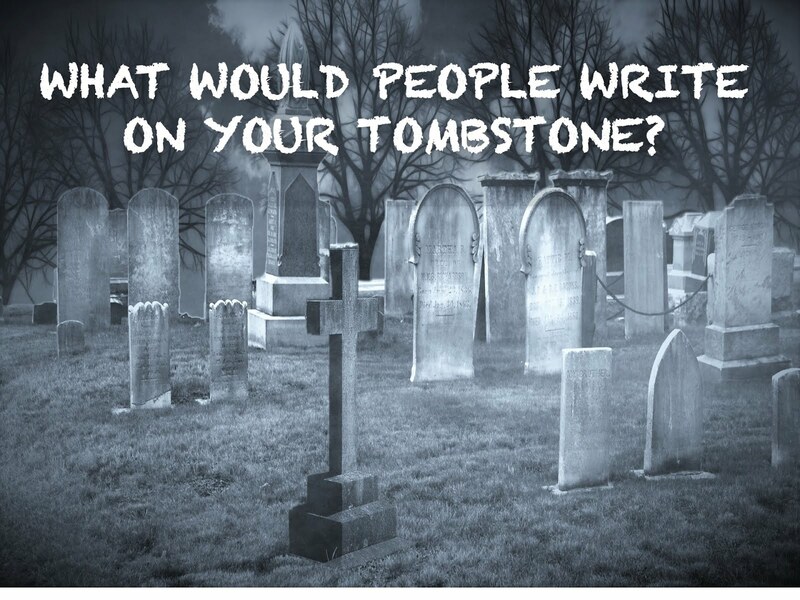 What Would People Write On Your Tombstone? With it being October 31st, it's a tombstone kinda' day. It got me thinking about what has been written on people's tombstones. Here are a few interesting ones. "I've had it all, I've done it all, I've seen it all, it's all about love. God is love." "I had a lover's quarrel with the world." "She did it the hard way." "He was a good husband, wonderful father, but a bad electrician." "Second fastest draw in New Austin." "Are the things you are living for worth Christ dying for?" "Only by giving our lives do we find life." "She served and kept the faith, she concealed her tears and shared her smiles, she gave so much and demanded so little." "Devoted wife and loving mother." "I'm a writer but nobody's perfect." "Forever in the hearts of their devoted family." "Songwriter, singer, producer, dancer, choreographer, Humanitarian, Jackson 5 member, Soloist, 13 #1 singles, 23 Grammys, 197 awards and 37 top 40 hits, Rock and Roll Hall of Fame and MoTown legend." "Author of the Declaration of Independence and Father of the University of Virginia"
"God loved you and I will...forever. Forever your wife." "And the beat goes on." "We live to love you more each day." What will people write on your tombstone one day? That is determined by what we do in the dash between our birth and death. Let's make every day count and give our lives to what really matters. There are no moving trucks in a funeral procession. In the end, it's about our relationship with Jesus, our family and those God has uses us to impact and help.